P. Corn. 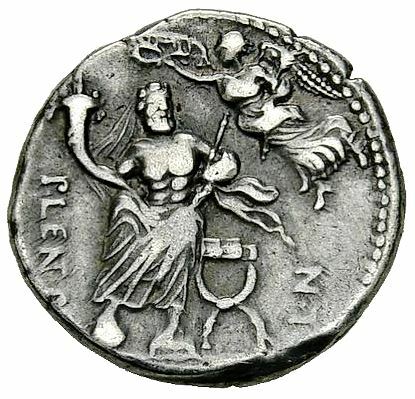 Lentulus Spinther was one of the queastors for the year 74 BC, and struck coins in this respect. He was Consul in 57 BC. Publius, nicknamed Spinther because of his likeness to a popular actor of that name, came from an ancient Roman patrician family of the Cornelia gens. As pro-praetor in Spain, Spinther struck coins which bore his name and nickname - proving the 'Spinther' nickname was now being officially used to distinguish him from those others in the Cornelia gens who bore the same name as he.